Molding services are widely used for creating a variety of parts used in aerospace projects, from display panels installed in commercial jets to turbines and impellers used to move coolant in private spacecraft. Most molding services for the aerospace industry involve polymer materials, but the expanding availability of other molding materials is also increasing the opportunities for greater usage within the industry. Learn what challenges the aerospace industry are solving with the help of advanced molding subcontracting services. 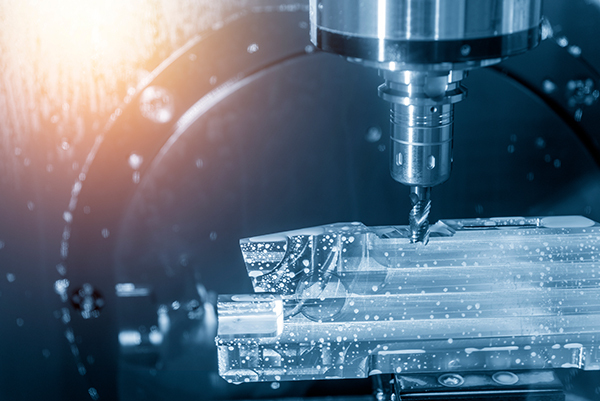 Injection molding has long been primarily a method for manufacturing polymer-based parts, but the options for molding materials have expanded greatly in the past three decades. Injection molding was once limited to polymers and resins due to the required flow, but metal powders allow for correct flow while sinterizing creates a finished part without damaging the injection molding equipment. While these metal parts are still more limited in design and strength than those made with CNC milling and other reductive methods, injection molding is improving rapidly when it comes to metal processing. The aerospace industry in particular benefits greatly from the combination of fast production speeds and low levels of error offered by metal injection molding. Interior bracketing is one of the most widely used parts in aerospace design because it supports nearly every panel and compartment in the interior of a plane or rocket. Traditional polymers used for injection molding and similar techniques struggled to withstand the sheering, bending, and warping forces that act on the interior of any aerospace design. Adding epoxy into the molding mix helps numerous manufacturers, including suppliers for Lockheed Martin and Boeing, create more durable and flexible interior bracketing. This is especially important for weight bearing areas like storage components. The addition of epoxy to existing polymer and resin molding materials is also essential to help brackets and other components resist becoming brittle at extremely cold temperatures. Since plastic and polymer based parts are popular for using throughout many aerospace designs thanks to their combination of handling extreme temperatures, resistance to chemical damage, and overall light weight, design innovation has focused on increasing the strength and durability of these parts produced through molding. Adding a core of glass or carbon fibers can dramatically increase the strength, weight bearing capacity, and durability of any molded part. But the same toughness that makes a glass-filled bracket or turbine last longer will also increase wear and tear on the molding equipment responsible for manufacturing. This has resulted in the development of tougher and reinforced tooling equipment that maintains a high level of detail and a low level of errors over longer spans of production. The results are more affordable molding production despite the tougher materials required to achieve your aerospace design goals. Like most manufacturing industries, the aerospace industry is always searching for new ways to reduce the amount of extra labor required to finish a product or project. Molding can achieve these goals because many subcontractors also offer direct screenprinting, pigment coating, and molded text and images on each molded panel and part. Exploring complete decoration services offered by molding providers can result in reduced finishing requirements with related labor savings. Finally, polymer parts produced through molding for use in the aerospace industry are generally autoclaved to cure the material and stabilize its dimensional features. This is a secondary finishing treatment with its own associated cost and time frame. New advancements in the use of liquid composite molding create parts with the necessary stability and durability without the need for any separate treatment or finishing. Parts are faster to manufacture and may cost less thanks to the elimination of an entire process of autoclaving. Connect with molding subcontractors who offer the latest techniques and services by checking out the listings in the European Subcontractor Network today.